Head of the economic department. Dr. Meir serves as a Senior Lecturer in Economics at the Jerusalem College of Technology. His academic research focuses on consumer insolvency, including consumer bankruptcy and mortgage policy. He has worked on the staff of the US Council of Economic and Advisers and for the NBER, the World Bank, and in the private sector. Dr. Meir's active areas of study at Kohelet include housing policy, deregulation in the agricultural sector, and financing of local government. Received his PhD from Harvard University's Department of Government. Prior to coming to Kohelet, Dr Yitzhak Klein served as head of the Israel Policy Center, an Israeli policy institute specializing in constitutional affairs and civil rights. He served as adviser to the Knesset Constitution and Law Committee and teaches in the the Department of Citizenship Studies at Efrata College, Jerusalem. Dr. Aviad Bakshi is the head of the legal department in Kohelet Policy Forum. 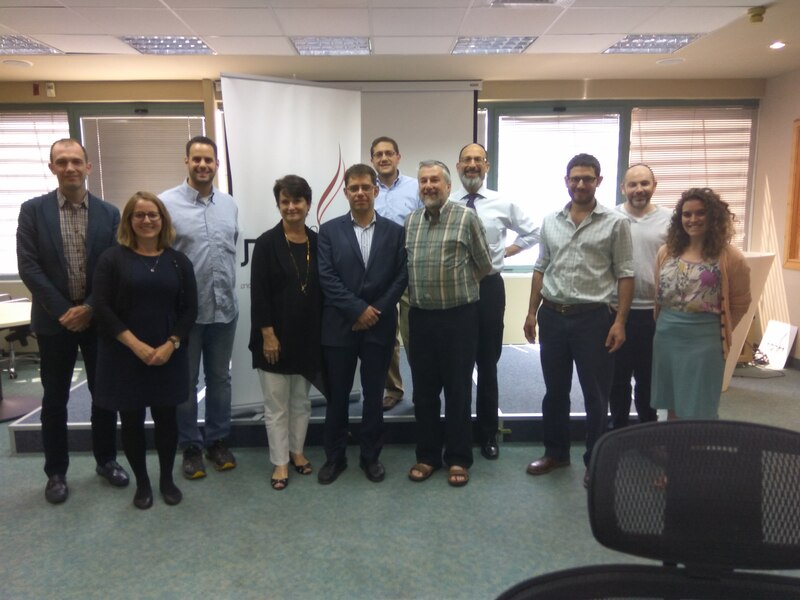 Dr. Bakshi, a former Hesder Yeshiva teacher, completed his first and second law degrees at Bar Ilan University with honors and was admitted to the Israeli bar after his internship in the High Court Department at the State Attorney's Office. Dr. Bakshi wrote his doctoral thesis as part of the president's scholarship for excelling ph.d students on the "proper constitutional significance of Israel as a Jewish state," which won the Begin Award 2012. During his doctorate Dr. Bakshi was a research fellow at the Schwartz Institute of Political Philosophy Studies at Beit Morasha. Since 2004, Dr. Bakshi has been involved in legislative and constitutional initiatives as an independent scholar, a member of the IZS constitution team, the legal editor of MK Michael Eitan and Prof. Moshe Koppel's proposed constitution, head of Weiler Foundation's legislative project at Bar Ilan University and director of the Berliner Institute - a clinic for legislative initiatives at the Ono Academic College. The research conducted by Dr. Bakshi in public law focuses on issues relating to the identity of Israel as a democratic nation-state and issues related to separation of powers. Alongside his work at Kohelet, Dr. Bakshi teaches Constitutional and Administrative Law at Ono Academic College and Bar Ilan University. Dr. Shuky Blass lives with his wife and four children in the Negev. Blass wrote his Ph.d dissertation in history at The Hebrew University about the anti-Israel propaganda in Western Europe..